Check with your insurer that you are covered to drive in all countries. Make sure your insurance cert and registration documents are with you and the number for your claims line if an accident occurs. Now would be a good time to take out breakdown cover for abroad if it is not already included. Read the small print – will they bring the car home for you? Check the rules and laws carefully for driving in each country – for example in France, you need to fit headlight deflectors, in Scandinavia you have to drive with your headlights on at all times and in most countries you have to carry a safety kit and vest for all passengers. Look up the name for diesel/petrol in each language as pump colours aren’t always the same as here. Note that some pumps accept payment by credit card only. Invest in a good satnav with free maps for life – I consider this essential, if you can’t afford one then there are many good, free apps out there which allow you to download the maps before you go. Service your car and pump your tyres – make sure your car is fully prepared for the high mileage ahead. Prepare your car accordingly for the conditions you will be driving in – e.g. if you are driving in snow ensure you have appropriate tyres and studs. Check your tyre wear – there is no point in travelling on bald tyres, order a new set and have them balanced and tracked before you go. Learn to change a tyre – if you don’t already know how. The last thing you want is to be stranded on the side of the road in the middle of nowhere, in a country where you can’t speak the language. Now is also a good time to check your spare tyre for wear and pressure. If you don’t have one, I would suggest buying one. Again, you don’t want to be stranded with run flats or tyre weld. If it is your first time driving abroad and especially if you’re a nervous driver, see if you can practice somewhere easier before you go – e.g. in the UK or The Canary Islands. Or if there are other passengers, you could drive the easier motorway and country routes and let them drive city and more complicated routes. Bring water and non-perishable food with you – sometimes you can be driving for hours and hours and won’t pass a shop or restaurant. Be clever with your fuel fill ups, plan fuel stops into your itinerary and be aware of how many miles a full tank will get you. Bring a spare container of fuel if you have to. Check oil and water before your journey each day. You will more than likely be covering higher mileage than you would on an average day back home. I would suggest carrying a bottle of the correct type of oil for your car. It actually doesn’t take that long to become accustomed to driving on the right. Take a second to get your bearings at junctions and roundabouts if you have to, people behind should notice the foreign registration and hopefully they won’t be too quick to beep. Teach yourself to give way to traffic coming from the left on roundabouts and if you need to remind yourself – stick a sign on the dash with a right pointing arrow, this will reflect onto the windscreen to remind you. Remember that if you need to overtake on single roads – and you will be doing this quite a lot as Europe’s roads are full of caravans and motorhomes – this is quite difficult if you are on your own. You have to put half your car over the line before you can even see what’s coming. Either sit back, relax and enjoy the scenery and factor it into your timescale, or only go when you can clearly see beyond what’s in front of you. Please be aware that in some countries e.g. Switzerland and Austria, you have to buy annual car tax before you cross the border. Also be aware that there are costly tolls in most countries and some of these only take credit card, others you need to register online for before you go (similar to the M50 toll). Common sense still prevails in every country, wear your seatbelt, don’t use a mobile phone and don’t speed – police in certain countries don’t take kindly to this and will make your life hell if you are caught. Other countries issue fines as a percentage of annual income. Speed cameras are the norm and a lot of countries will eventually source your address and send you fines in the post. Avoid major cities if you can, park up and avail of their mostly excellent public transport services instead. You’re more likely to have an accident in a city than anywhere else.Remember that driving in Europe can consist of long days. 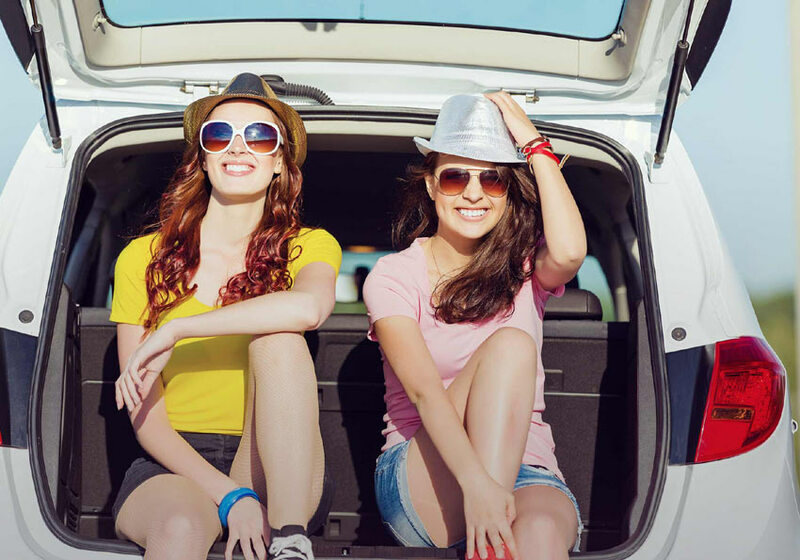 Factor in appropriate sleep, comfort breaks and if there a few passengers you can always share the driving. 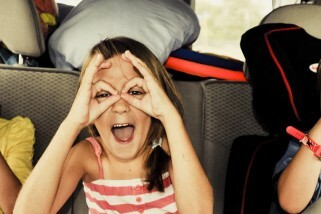 Lastly, if you are driving with kids, remember to have lots of entertainment laid on for them to keep them occupied!